Let’s face it, life get’s busy. But that doesn’t mean you have sacrifice a good meal at home―especially when you’re hungry and your family is hungry. 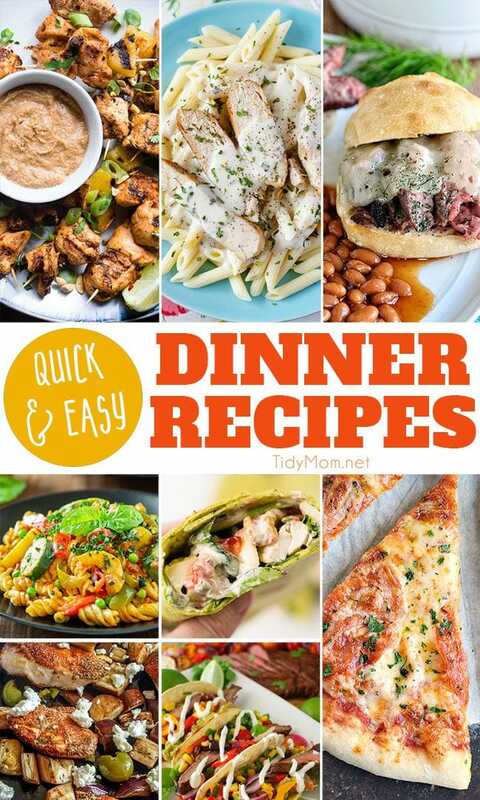 Each of these Quick Easy Dinner Recipes is ready in 30 minutes or less. Simple enough for a busy weeknight, and still delicious enough to serve to company. These Pineapple Thai Grilled Chicken Skewers with Peanut Sauce are perfectly spicy, with just a bit of sweet! The perfect healthy, dinner for summer in under 30 minutes! In 30 minutes or less, you can have a delicious alfredo pasta meal on the table. Add some leftover grilled chicken or cooked broccoli Basil Alfredo Sauce recipe and you will be in heaven. Flank Steak Sliders are thinly sliced steaks grilled medium rare, seasoned with garlic and drizzled with dill butter on a toasted loaf of french bread! This is one steak sandwich that speaks for itself. Easy Curry Pasta and Vegetables is a unique and delicious easy weeknight pasta dinner the whole family will love. Make it in one pot for speedy cleanup! This Grilled Chicken Wrap takes just minutes to make and it tastes so darn good. Chicken salad, topped with creamy, tangy dijon and grilled it in a soft spinach tortilla. It is delicious comfort food that is fast to make and healthy to eat. Pepperoni Pizza is a classic favorite that almost everyone loves, and making Homemade Pepperoni Pizza makes it even more special! This incredibly easy Greek Chicken Sheet Pan Meal literally goes from cutting board to tabletop in like, 20 minutes. Tops. Get restaurant quality fajitas right at home! These savory Grilled Steak Fajitas will be your new favorite Tex-Mex meal. Made with tender, juicy flank steak and grilled with peppers and onions. It’s simple to make and completely delicious! 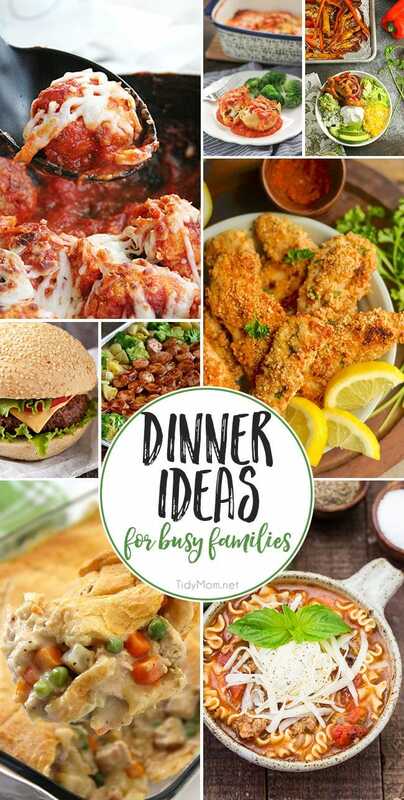 What to make for dinner? 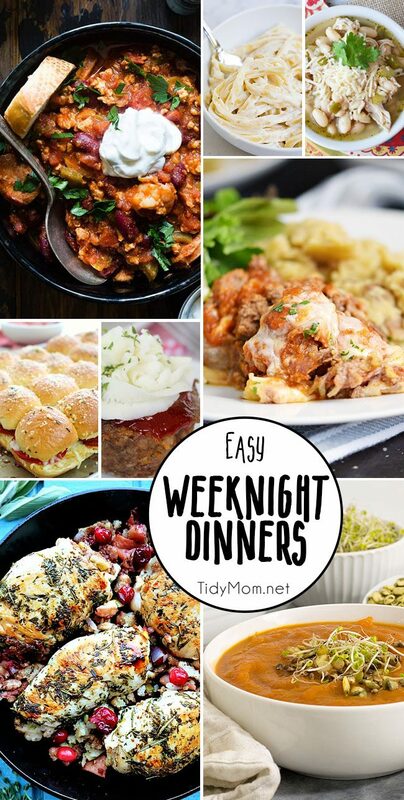 Because dinner can become boring, here are some Easy Weeknight Dinners that deliver on delicious!! This is week 409 (8 years) of hosting this I’m Lovin’ It linky party. Each week I feature some of the posts that caught my eye from the previous week. Please take a moment to visit the featured blogs ……..then scroll down to see what’s being shared this week. Thank you so much for the feature, Cheryl. 🙂 Have a wonderful weekend!! Thank you Cheryl for another fun party. 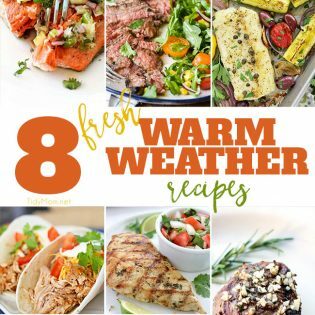 Love all the roundups you put together with great recipes!